Kungsleden has signed a fifteen year lease agreement with Knock ‘em Down AB, a bowling and restaurant operator. Knock ‘em Down will lease 1,300 sqm in the property Tegnér 15. Kungsleden AB (publ) has signed a fifteen year lease agreement with the company Knock ‘em Down AB, which will open its first bowling hall and restaurant in the property Tegnér 15 in central Växjö. The 1,300 sqm premises will undergo a large renovation in order to be adapted to the new business. The bowling hall and restaurant will open during autumn 2016. 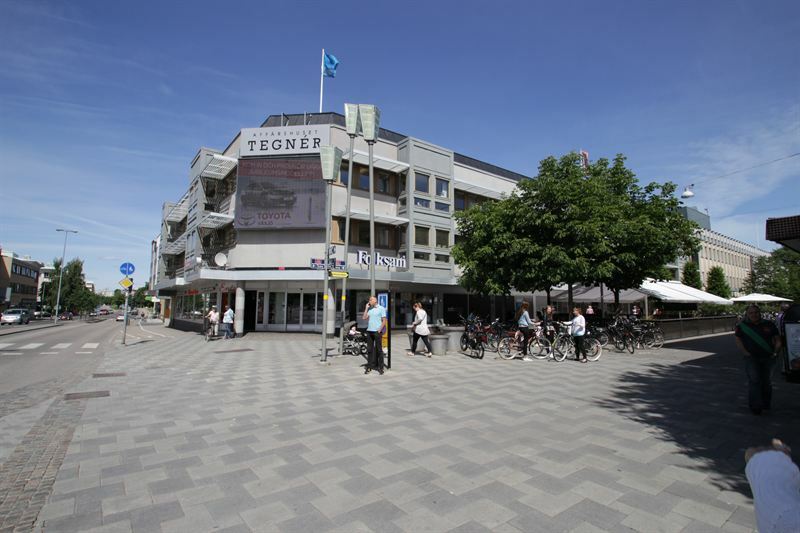 “We are delighted to lease such a large and well-known space to a brand new entertainment concept that will become an important contribution to Växjö and its inhabitants. We will adapt the premises in close dialogue with Knock ‘em Down so that we create the best possible circumstances for the business, the customers and the property”, says Tobias Nilsson, Property Manager Kungsleden. “We are proud and happy to finally realise our vision. Starting this autumn Knock ‘em Down will open its doors on Västra Esplanaden in Växjö with bowling, pool, shuffleboard as well as a restaurant and a bar. It will be an exciting and fantastic journey for all of us”, says Malin Berggren, Knock ‘em Down. The information was provided for public release on 30 March 2016 at 07:00 a.m.